Proverbs 1, verse 7 says; “The fear of the Lord is the beginning of knowledge. But fools despise wisdom and instruction.” Some people actually despise God’s instructions. And the majority of the rest, simply don’t feel they have any need for it. It’s not that people don’t want to have knowledge, it’s just that all they want is worldly knowledge. They don’t want knowledge of God. But that verse says that the “fear of the Lord is the beginning of knowledge”, because the only knowledge that truly matters, comes from God. Another way of saying that, would be; “and the darkness did not receive it”, “the darkness did not seize and take hold of it”. Of course the darkness refers to the world, or more specifically, the people of the world. The people of the world did not take hold of the light of Jesus Christ, and make it their own. Instead, the world, for the most part, has rejected Jesus Christ, and His plan of salvation. And so ignorance abounds. God reveals Himself, and people refuse the revelation. I want to read a part of an article from the Rocky Mountain Christian newspaper, from the October edition. It talks about the ignorance of people, concerning God’s word, and a problem, that’s referred to as “humanism”. Here’s what it says; A few years ago, I saw a kind of “man on the street ” interview, where the host confronted some young adults, to ask them questions about the bible. “Can you name one of the ten commandments?” he asked two college-age women. One ignorantly replied; “Freedom of speech”. The host said to the other; “Complete this sentence.. Let he who is without sin..” Her response was; “have a good time”. Then he turned to a young man and asked; Who according to the bible, was swallowed by a whale?” The confident answer was; “Pinocchio”. A lack of biblical knowledge in our country is alarming, and certainly would be one cause of moral decline within our culture. For a number of years, our public schools have laid the groundwork toward a humanistic philosophy of life. I want to stop here for a minute, and explain what a “humanistic philosophy of life” is. Your “philosophy” is the way you view things. It’s your attitude toward things, and it’s the principles which govern your attitudes toward those things. And so your philosophy of life, is how you view life, how you believe that you should conduct yourself, during your life. And it’s all about the principles that form the foundation for your attitude about your life, and about your conduct. For example; How do you feel about the value of life itself? How do you feel about killing? How do you feel about equality? How do you feel about the treatment of others? How do you feel about God? These are some of the things that make up our philosophy of life. What do you think a “humanistic” philosophy is? A “humanistic philosophy” is the opposite of a “religious philosophy”. As a matter of fact, a humanist would typically consider religion to be about equal to superstition. Humanism disregards spiritual matters, and focuses on physical matters, and self-satisfaction. The bible calls that philosophy, “walking according to the flesh”. And it doesn’t have anything good to say about it. Pretty strong words. If you have a humanistic view of life, a “humanistic philosophy”, you cannot please God! But yet, the truth is, that the public school system, and the colleges are teaching humanism! Now let me go back to the article I was reading from. For a number of years, our public schools have laid the groundwork toward a humanistic philosophy of life. Students have been programmed to lay aside common sense, and any moral training they may have received. Several years ago, my children were subjected to assignments that presented situational scenarios, to which they were to respond. They were told that there were no “right or wrong” answers, but clearly, each circumstance was, either morally right, or wrong. We now have a generation of people who do not believe in objective truth. Now let me stop again. This kind of thinking isn’t anything new. But the point being made in this article, is that since even our schools have been teaching this for so long now, and the influence is so wide spread, that hardly anyone anymore believes in right and wrong, as outlined on the bible. There IS a right and a wrong! Whether something is right or wrong does NOT depend upon whether it’s beneficial to you! Humanism is really no different than what is called “situation ethics”. Situation ethics, is when right or wrong is determined by the situation that you’re in. That philosophy says that truth is “subjective” rather than “objective”. In reality, right and wrong is a matter of truth. Is it true that something is right, and is it true that something is wrong? Do you know what it means for truth to be “subjective”? If something is subjective, that means that it is based on, or influenced by, personal feelings, preferences, or opinions. In other words, something can be true for me, but not true for you, because whether it’s true or not, is based on my personal feelings, or on my opinions. But in reality, that’s like living in a fantasy world. It’s like saying that 1+1 equals 2, only if I want it to. On the other hand, if something is “objective”, it is NOT influenced by personal feelings or opinions. The word “objective” means.. “impartial, unbiased, unprejudiced, detached, neutral”. It is an objective fact, it is an unbiased fact, that 1+1 equal 2. It doesn’t matter how you feel about it, it’s true! Well, that’ exactly how God’s word is. It doesn’t matter how we feel about it. It doesn’t matter whether it benefits us in our present situation, or if it condemns our present situation. It doesn’t matter whether or not it satisfies our fleshly desires. God’s word is “objective”! It is NOT influenced by anything else! Not by your feelings, or by my feelings, or by any situation. But people have been taught that words like those are subjective. It all depends on my situation. I’m not going to look out for YOUR interests, if at this particular time, and in this particular situation, in conflicts with MY interests. That’s humanism, plain and simple. Once again, Humanism is.. an outlook or system of thought attaching prime importance to human, rather than divine or supernatural matters. Obeying God’s word is a “divine matter”! Our divine God says that one thing is true and right, but we say, that doesn’t benefit me. Or it doesn’t benefit me, in this situation. That’s Humanism. 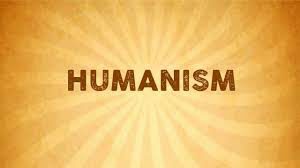 Hers’s another statement that defines humanism.. Humanist beliefs, stress, the potential value and goodness of human beings, emphasize common human needs, and seek solely rational ways of solving human problems. Now that doesn’t sound so bad, does it? To stress the value of human beings, and to seek to fulfill common human needs. That sounds pretty good, it sounds a lot like the bible. But there’s a “catch” to it. The last part of that statement tells us what the “catch” is. Humanism seeks solely rational ways of solving human problems. Who do you think decides what ways are rational? Well, obviously, human beings do. Are the thoughts and ways of human beings, necessarily the “right” ways? Are the thoughts and ways of human beings, necessarily the thoughts and ways of God? “There is a way that seems right to a man, but the end thereof is destruction!” (the end is death) Proverbs 14:12. “A man’s way is NOT IN himself, nor is it in man who walks, to direct his own steps!” Jeremiah 10:23. Here’s an example of how humanism, might seek a rational way to solve a human problem. You’ve got a job that doesn’t pay what you think it should. It doesn’t pay what you NEED to make ends meet. And an opportunity arises, where you can maybe lie, or maybe even steal, in order to get more money from the employer, that you truly need, and you believe that you deserve. And you see your employer as having plenty of money, and so your humanistic philosophy says, I’m going to get the money that I deserve, any way I can. It was perfectly rational to you, that you should get the benefits that you deserved, in any way necessary. Therefore, in this situation, you judge that it’s not “wrong” to lie or to steal. And so what has just happened? Well, for one thing, you’ve just sinned, willingly! Humanism has just brought death to your soul. What about a humanistic philosophy when it comes to marriage? Will that cause you to die spiritually? Without a doubt it will! How do most people solve the problems in their marriage? They divorce, that’s how they “solve” the problems. Do they divorce because God has approved of their divorce? No, they divorce because it somehow benefitted them in their physical life. But they died spiritually. How many of you have an opinion on what’s going on with the migrants in Tijuana, Mexico? I believe that we could accurately say, that the whole situation, is the result of humanism. To begin with, take for instance the very organization of the caravan. Some people obviously organized this whole thing. And whoever organized it, KNEW, that thousands of immigrants could not lawfully enter this country, all at the same time. And so the plan must have been to do it illegally. And maybe it was truly believed, that this was all for the benefit of the migrants. And so the situation caused people to believe that it’s NOT wrong to do something illegally, if it’s for the good of the people. That’s humanism.. Right and wrong becomes subjective, depending on the situation. And then that concept of right and wrong being determined by your situation, gets applied to the bible, and to God’s word. The bible says that something is wrong, but you decide that your personal situation overrides what God has said. God is taken out of the picture, and the sole decision of right and wrong, is determined on what a person perceives as “good” for them, or for someone else. Humanism is a disregard for spiritualism. Don’t be deceived. Humanism, and situation ethics, do NOT determine what is right, and what is wrong. When I was just a young kid, I remember the phrase; “If it feels good, do it.” If it feels good.. If seems good, if you think it’s good, then go with your feelings, right? Wrong! God has given us truth, (God’s word IS truth” John 17:17) and within that truth, is the determination, and the boundaries, of right and wrong. Can you end a marriage just because it pleases you? People do it all the time. Can you forsake the worship assembly next week, just because something else is really important to you? I guess you can, people do it all the time. Can you lie and cheat and steal, because it might benefit you or someone else. People do it all the time. And schools and colleges teach, that it’s OK, if it’s for the “public good”. Or maybe it’s just for your own good. But the truth is, it’s not for your good, or for anyone’s good. Simply put; Humanism might be good for the human, but it’s death for the soul. We’re talking about your philosophy of life. Do you know what the true meaning of philosophy is? It’s a compound word, that comes from two Greek words. The first word is “philo”, which means “love”, and the second word is “Sophos”, which means “wisdom”. Philosophy means.. to love wisdom. Wisdom only comes from God. “The fear of the Lord, is the beginning of wisdom.” Proverbs 9, verse 10. God’s word is wisdom, and it is truth. Do we respect it and reverence it, and obey it, regardless of what it might “benefit” us, to do differently? Believe the word, obey the word, repent of your sins, be baptized for the forgiveness of your sins, and then live faithfully until death. Make God’s words, your philosophy for life.